Now every guest and employee is a suspect. Every friendly face a mask. Every kind word a lie. Kellen is driven to defend her job, her friends and the place she's come to call home. Yet she wonders --- with the scar of a gunshot on her forehead and amnesia that leaves her unsure of her own past --- could the killer be staring her in the face? - Click here to visit Christina Dodd's website. 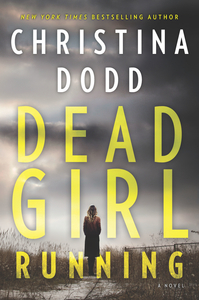 - Connect with Christina Dodd on Facebook, Twitter and Instagram.